We use Zendesk to provide awesome customer service. A lot of our support requests come through our BugHerd feedback tool, and we then use this integration so they can be properly handled in Zendesk. 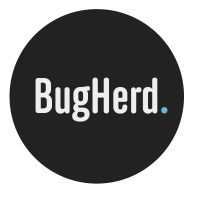 When you connect BugHerd to Zendesk, your project managers can send select tasks to Zendesk when they need to go through the customer support process, instead of the bug fixing process. After your Zendesk account is authenticated, a new option will be available on the triage tab to send tasks to Zendesk instead of to the main task board. Once the integration has been set up, members of your projects will be able to send any task in Triage to Zendesk, by selecting "send to zendesk" from the options dropdown. Note that the option is only available when the requester of the task is present. Upon clicking "send to zendesk", a new Zendesk ticket is created and the BugHerd task is moved to Archive. Go to your account's integrations page by using the dropdown menu in the top left, and selecting "edit" next to your account name. Select "Integrations" from the left hand menu. Find "Zendesk" in the list of integrations and click "add integration". Zendesk account. This is the first part of your .zendesk.com domain. Token. You may need to enable token login for this. In your Zendesk, go to: Settings > Channels. Find "API" and select "edit" to the right. Under "Token Access", tick to enable it if it wasn't (and click Save if needed). Copy the API token on this page into the field. Click "save". This is all that's required, the integration is now active!